Pablo Picasso once said: “Everything you can imagine is real” A simple yet profound statement. We find ourselves in a time where we can turn our often-far-fetched imaginations into reality. Take the Mars One Project as an example-in 2032, it aims to send a group of people to inhabit part of the ‘Red Planet’. Billionaire Chief Executive Officer for the Mars One Project Bas Lansdorp is adamant that he will be able to send people on a one-way ticket to Mars and he will be sharing his thoughts and insights at the 22nd Annual South African Council of Shopping Centres (SACSC) Annual Congress on 19 October 2018. 41-year-old Lansdorp has a passion for ambitious projects and he is known for being a serial entrepreneur. He is co-founder and CEO of Mars One which is a Dutch non-profit foundation that aims to land the first humans on Mars in 2032. Mars One has a renowned advisory board including a former NASA Chief Technologist, an astronaut, and a Nobel prize laureate. With several completed feasibility studies by Lockheed Martin Space Systems Company and Paragon Space Development Corporation, Mars One Foundation has built a firm basis on which to continue its mission. In his talk at the 2018 SACSC Annual Congress, Bas Lansdorp will discuss Mars exploration and the how the mission is feasible. This is mainly because it is a mission of permanent settlement, there is no return trip. He will also explain the business model for a manned mission to Mars and the complexities of finding a crew of four that can actually leave their friends family and planet behind for settling on Mars. 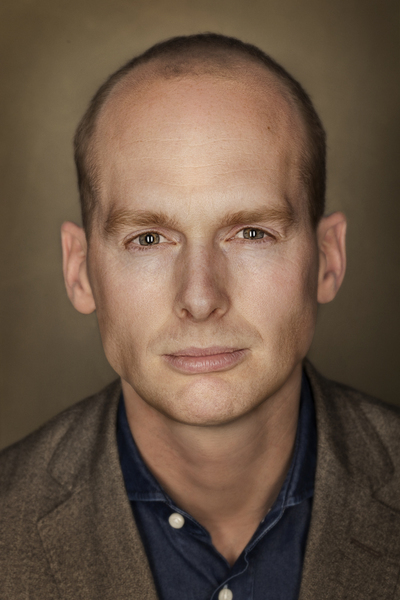 Lansdorp received his masters of science degree in mechanical engineering from Twente University in 2003. He then worked for five years on his PhD research in wind energy at Delft University of Technology. He abandoned his research to start his first company, Ampyx Power. Ampyx Power develops a novel, cheaper than coal, method of wind energy generation. He sold part of his shares in Ampyx Power to finance the start of Mars One. Now, only seven years later, Mars One is one of the established names in the world of space exploration. Mars One aims to send its first unmanned demonstration mission to Mars in 2022 and recently announced a contract with aerospace titan Lockheed Martin for this mission. Lansdorp joins an array of game-changing speakers at this year’s SACSC Congress. This event will see world class speakers, industry leaders, more than 500 companies being represented, insights and networking, all taking place in Durban which is also known as ‘South Africa’s playground’. Themed ‘Game Changers’ this year’s Congress will bring the delegates up to speed with the latest trends and research findings by industry experts both national and international that are ‘changing the game’. Chief Executive Officer for the South African Council of Shopping Centres, Amanda Stops said that this year’s event will focus on innovation, facing disruption and an experience that highlights the importance of being game changers. “The shopping centre and retail industry is full of game changers. Throughout the world, we have seen retailers and shopping centres alike doing things differently and changing the game. This year we celebrate the game changers and help others change the game. More than 1500 delegates over three enthralling days, world-class speakers, presentations, insightful information and networking. The 22nd SACSC Annual Congress is an industry event not to be missed,” she said. This year’s line-up of speakers will see the likes of Lebo Gunguluza, Polo Leteka, Gil Oved, Vusi Thembekwayo and Vinny Lingham of Dragons’ Den South Africa fame address delegates at the Business Lunch. Other speakers include Jeremy Gardiner, leading economist and a seasoned SACSC Congress speaker who will put a spotlight on current affairs, economics and investment markets as well as the state of consumer finances and debt levels; inflation rate; interest rates and the exchange rate. 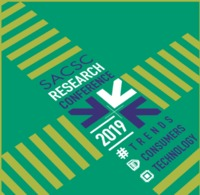 Alan Knott Craig who spoke at last year’s SACSC Research Conference will speak about the changing internet and where it will be in the next five years. According to Alan, the first wave of the internet was virtual and people orientated. Google, Facebook, Twitter, eBay all exist on the internet without touching the real world. The second wave will mash the virtual and physical world and will connect both people and machines.